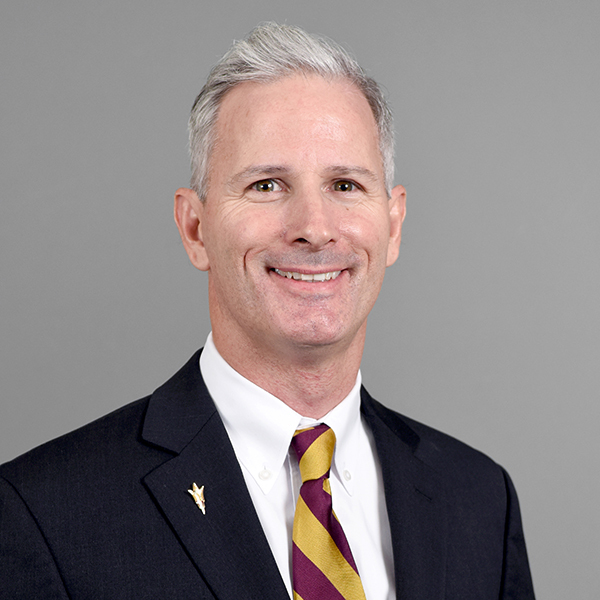 Dr. Dave D. White is Professor in the ASU School of Community Resources and Development, Director of the Decision Center for a Desert City, and Senior Sustainability Scientist in the Julie Ann Wrigley Global Institute of Sustainability. Dr. White is internationally-recognized for his contributions to science in support of sustainable development. He has published more than 50 peer-reviewed scientific journal articles advancing numerous fields including decision science, science and technology studies, sustainability science, and natural resources management. His research develops theory and methods to understand and enhance the linkages between science and policy for sustainability. His work brings together scientists and stakeholders to cooperatively define challenges, develop credible and usable knowledge, promote social learning, build institutional capacity, and implement solutions attuned to cultural, economic, and political context. He has led or co-led projects in the U.S., Mexico, Brazil, and the Niger River basin. Dr. White serves as Director and Principal Investigator for the Decision Center for a Desert City, which has been funded by the U.S. National Science Foundation with more than $18M in grants. He leads a team of more than 25 scientists, research staff, and postdoctoral fellows working in close collaboration with a range of stakeholders to co-develop transformational solutions for water sustainability in an era of climate change. Under Dr. White’s leadership, DCDC scientists have published more than 200 peer-reviewed scientific journal articles, generated tens of millions in leveraged grant funding, developed decision support systems to inform environmental management, and built an international scientific network. Dr. White is committed use-inspired research with true global impact. He is an inaugural Fellow of the PLuS Alliance, combines the strengths of three leading research universities on three continents - ASU, Kings College London, and University of New South Wales - to solve global challenges around health, social justice, sustainability, and technology and innovation. White is an inaugural Fellow of the Global Security Initiative, a university-wide interdisciplinary hub for global security research. White is a contributing author to the Fourth U.S. National Climate Assessment and his work has been covered in popular media including The New York Times, Wall Street Journal, and National Public Radio. White is a recipient of the President's Medal for Social Embeddedness from Arizona State University and the Celebrating Natural Resources Award from the University of Idaho. Sullivan, A., D. D. White and M. Hanemann. 2019. Designing collaborative governance: Insights from the drought contingency planning process for the lower Colorado River basin. Environmental Science & Policy 91:39-49. DOI: https://doi.org/10.1016/j.envsci.2018.10.011. Gober, P., D. A. Sampson, R. Quay, D. D. White and W. T. Chow. 2016. Urban adaptation to mega-drought: Anticipatory water modeling, policy, and planning for the urban Southwest. Sustainable Cities and Society 27:497-504. DOI: 10.1016/j.scs.2016.05.001. White, D. D., T. J. Bohn, E. R. Vivoni and G. Mascaro. 2014. Effects of Land Use on the Predictability of Land-Atmosphere Fluxes and Moisture Transport in the North American Monsoon Region. AGU Fall Meeting Abstracts 1:3258. Quay, R., K. L. Larson and D. D. White. 2013. Enhancing water sustainability through university-policy collaborations: Experiences and lessons from researchers and decision-makers. Water Resources IMPACT 15(2):17-19. White, D. D., P. Gober, C. W. Kirkwood, V. K. Smith, M. C. Nelson, C. L. Redman and S. K. Wittlinger. 2013. Advancing Science in Support of Water Policy and Urban Climate Change Adaptation at Arizona State University’s Decision Center for a Desert City: A Synthesis of Interdisciplinary Research on Climate, Water, and Decision-Making Under Uncertainty. White, D. D., E. A. Corley and M. S. White. 2008. Water managers' perceptions of the science-policy interface in Phoenix, Arizona: Implications for an emerging boundary organization. Society and Natural Resources 21(3):230-243. Jones, L. and D. D. White. 2018. Decision-Making and the Food-Energy-Water Nexus in Phoenix, Arizona. Poster presented at the 2018 AAAS Annual Meeting, February 14-19, 2018, Austin, Texas. Lawless, K. and D. D. White. 2018. Water Governance Analysis through the Stakeholder Perspective: Pernambuco, Brazil Case Study. Poster presented at the 2018 AAAS Annual Meeting, February 14-19, 2018, Austin, Texas. Rauh, E., V. N. Horvath, A. Sullivan, K. L. Larson and D. D. White. 2018. Water in the Arid Southwest: Public Perceptions on Transformational Strategies for Sustainability. Poster presented at the 2018 AAAS Annual Meeting, February 14-19, 2018, Austin, Texas. Cázares-Rodriguez, J., E. R. Vivoni, D. D. White and A. I. Ramirez. 2015. Flood analysis and mitigation strategies in the Santa Catarina watershed: Multimodel application for stakeholder-driven solutions. Poster presented at the Decision Center for a Desert City Annual Poster Symposium, April 27, 2015, Arizona State University, Tempe, AZ. Cázares-Rodriguez, J., E. R. Vivoni, D. D. White and A. I. Ramirez. 2015. Flood analysis and mitigation strategies in the Santa Catarina watershed: Multimodel application for stakeholder-driven solutions. Poster presented at the AAAS 2015 Annual Meeting, February 12-16, 2015, San Jose, CA. Cázares-Rodriguez, J., E. R. Vivoni, D. D. White and A. I. Ramirez. 2015. Flood analysis and mitigation strategies in the Santa Catarina Watershed: Multimodel applications for stakeholder-driven solutions. Poster presented at the 29th Conference on Hydrology, 95th Annual Meeting of the American Meteorological Society (AMS), January 4-8, 2015, Phoenix, AZ. Cázares-Rodriguez, J., E. R. Vivoni, D. D. White and A. I. Ramirez. 2015. Flood Analysis and Mitigation Strategies in the Santa Catarina Watershed: Multimodel Applications for Stakeholder-driven Solutions. Poster presented at the 2015 AAAS Annual Meeting, February 2015, San Jose, CA. Cázares-Rodriguez, J., E. R. Vivoni, D. D. White and A. I. Ramirez. 2015. Flood Analysis and Mitigation Strategies in the Santa Catarina Watershed: Multimodel Applications for Stakeholder-driven Solutions. Poster presented at the American Meteiorological Society Annual Meeting, January 6, 2015, Phoenix, AZ. Gutierrez, V., A. Bhat, M. M. Elser and D. D. White. 2015. Citizen science through participation: Engaging students in cutting edge water conservation. Poster presented at the Decision Center for a Desert City Annual Poster Symposium, April 27, 2015, Arizona State University, Tempe, AZ. Karim, A., S. Rode and D. D. White. 2015. Effectiveness of “Fix-a-leak week 2015” direct incentive campaign on residential water conservation behavior in Goodyear, Arizona. Poster presented at the Decision Center for a Desert City Annual Poster Symposium, April 27, 2015, Arizona State University, Tempe, AZ. Bohn, T. J., G. Mascaro, D. D. White and E. R. Vivoni. 2014. Effects of land use on the predictability of land-atmosphere fluxes and moisture transport in the North American Monsoon Region. Poster presented at the American Geophysical Union Fall Meeting, December 15-19, 2014, San Francisco, CA. Bohn, T. J., E. R. Vivoni and D. D. White. 2014. Atmospheric moisture transport in the North American monsoon: Linking water and land governance across political boundaries. Poster presented at the National Science Foundation Science, Engineering, and Education for Sustainability (SEES) PI Meeting, April 8-9, 2014, Arlington, VA.
Brandau, J., S. Rode, M. Holmes and D. White. 2014. Compare to conserve: Residential smart-metering. Poster presented at the Decision Center for a Desert City Annual Poster Symposium, April 28, 2014, Arizona State University, Tempe, AZ. Cázares-Rodriguez, J., E. R. Vivoni, D. D. White and A. I. Ramirez. 2014. Analysis and modeling of the Santa Catarina Watershed response to Hurricane Alex. Poster presented at the AAAS 2014 Annual Meeting, Meeting Global Challenges: Discovery and Innovation, February 13-17, 2014, Chicago, IL. Cázares-Rodriguez, J., E. R. Vivoni, D. D. White and A. I. Ramirez. 2014. Analysis and modeling of the Santa Catarina Watershed response to Hurricane Alex. Poster presented at the Decision Center for a Desert City Annual Poster Symposium, April 28, 2014 , Arizona State University, Tempe, AZ. Cázares-Rodriguez, J., E. R. Vivoni, D. D. White and A. I. Ramirez. 2014. Analysis and modeling of the Santa Catarina watershed response to Hurricane Alex in Monterrey, Mexico: Multimodel applications for stakeholder-driven solutions. Poster presented at the 2014 World Environmental & Water Resources Congress by the American Society of Civil Engineers (EWRI-ASCE), June 1-5, 2014, Portland, OR. Sampson, D. A., R. Quay, D. D. White and P. Gober. 2014. WaterSim: a brief history. Poster presented at the Water Resources Research Center 2014 Annual Conference: Closing the Gap Between Water Supply and Demand, April 8, 2014, University of Arizona, Tucson, AZ. Withycombe Keeler, L., A. Wiek, D. White, R. Quay and D. Sampson. 2014. Linking stakeholder survey, scenario construction, and simulation modeling to explore long-term impacts of regional water governance regimes. Poster presented at the Decision Center for a Desert City Annual Poster Symposium, April 28, 2014, Arizona State University, Tempe, AZ. Hennessy, J., D. Frost, A. Miller and D. D. White. 2013. Potential attributes of water use variation in mixed use residential landscapes. Poster presented on May 1, 2013 at the Decision Center for a Desert City Annual Poster Symposium, Arizona State University, Tempe, AZ. Moreno, H. A., D. D. White, H. V. Gupta, E. R. Vivoni and D. A. Sampson. 2013. Scaling up the hydrologic effects of forest thinning in semi-arid basins of Arizona. Poster presented at the American Geophysical Union Fall Meeting, December 9-13, 2013, San Francisco, CA. Quay, R., G. M. Garfin, F. Dominguez, K. K. Hirschboeck, C. A. Woodhouse, Z. Guido and D. D. White. 2013. Climate change extreme events: Meeting the information needs of water resource managers. Poster presented at the American Geophysical Union Fall Meeting, December 9-13, 2013, San Francisco, CA. Quinn, J., D. D. White, L. Withycombe Keeler, A. D. Wiek and K. L. Larson. 2013. The future of water in the desert: Convergence and divergence between decision makers and students. Poster presented February 17, 2013 at the Decision Making Under Uncertainty (DMUU) Session of the AAAS Annual Meeting, February 14-18, 2013, Boston, MA. Quinn, J., D. D. White, L. Withycombe Keeler, A. D. Wiek and K. L. Larson. 2013. The future of water in the desert: Convergence and divergence between decision makers and students. Poster presented on May 1, 2013 at the Decision Center for a Desert City Annual Poster Symposium, Arizona State University, Tempe, AZ. Sampson, D. A., R. Quay, D. D. White, P. Gober and C. W. Kirkwood. 2013. Anticipatory water management in Phoenix using advanced scenario planning and analyses: WaterSim 5. Poster presented at the American Geophysical Union Fall Meeting, December 9-13, 2013, San Francisco, CA. White, D. D. and V. K. Turner. 2013. Uncertainty frames in water policy debates. Poster presented on May 1, 2013 at the Decision Center for a Desert City Annual Poster Symposium, Arizona State University, Tempe, AZ. White, D. D. and V. K. Turner. 2013. Uncertainty frames in water policy debates. Poster presented February 17, 2013 at the Decision Making Under Uncertainty (DMUU) Session of the AAAS Annual Meeting, February 14-18, 2013, Boston, MA. Withycombe Keeler, L., A. D. Wiek, D. D. White, R. Quay and J. Quinn. 2013. Quenching our thirst: Future scenarios of water in Phoenix. Poster presented February 17, 2013 at the Decision Making Under Uncertainty (DMUU) Session of the AAAS Annual Meeting, February 14-18, 2013, Boston, MA. Withycombe Keeler, L., A. D. Wiek, D. D. White, R. Quay, D. A. Sampson and J. Quinn. 2013. Quenching our thirst: Future scenarios of water in Phoenix. Poster presented on May 1, 2013 at the Decision Center for a Desert City Annual Poster Symposium, Arizona State University, Tempe, AZ. Withycombe Keeler, L., A. Wiek, D. D. White, R. Quay, D. A. Sampson and J. Quinn. 2013. Quenching our thirst: Future scenarios of water in Phoenix. Poster presented at the Adapting to a Water-Stressed West, American Association for the Advancement of Science Southwestern and Rocky Mountain Division (AAAS-SWARM) Water Forum, November 4, 2013, Arizona State University, Tempe, AZ. Ragan, M. and D. D. White. 2012. How do we catalyze adaptive and innovative practices in public regulatory agencies?. Poster presented on April 25, 2012 at the Decision Center for a Desert City Annual Poster Symposium, Arizona State University, Tempe, AZ. Withycombe Keeler, L., A. D. Wiek, D. D. White, K. L. Larson and K. Jung. 2012. Envisioning water futures in the greater Phoenix area: What do we want the future to look like?. Poster presented on April 25, 2012 at the Decision Center for a Desert City Annual Poster Symposium, Arizona State University, Tempe, AZ. Withycombe Keeler, L., A. D. Wiek, D. D. White, R. Quay, G. Basile, K. L. Larson and K. Jung. 2012. Value based scenarios: The future of water governance and use in Central Arizona-Phoenix. Poster presented February 19, 2012 at the AAAS Annual Meeting, Vancouver, BC, Canada, February 16-20, 2012. Gartin, M., D. D. White, T. Lant and P. Gober. 2008. Stakeholder discursive data distortions: An analysis of WaterSim II textual data. Poster presented at the 30 April 2008 Community of Undergraduate Research Scholars (COURS) Poster Session, Tempe, AZ. Howard, J., K. L. Larson, D. D. White and E. A. Wentz. 2008. The use of GIS as a decision-support tool by water managers in Phoenix, AZ. Poster presented at 10 January 2008 CAP LTER 10th Annual Poster Symposium, Global Institute of Sustainability, Arizona State University, Tempe, AZ. White, D. D. 2017. Boundary Organizations and Objects Supporting Stakeholders for Decision Making on Sustainable Water Management in Phoenix, Arizona USA. Presentation at the ILEK International Symposium, January 22, 2017, Research Institute for Humanity and Nature, Kyoto, Japan. White, D. D. 2017. Transformational Solutions for Water Sustainability and Climate Change Adaptation in the Colorado River Basin. Presentation at the Global Water Institute Seminar Series, March 9, 2017, University of New South Wales, Sydney, Australia. Bohn, T. J., E. R. Vivoni, G. Mascaro and D. D. White. 2016. Impacts of Land Cover and Land Use Change on the Hydrology of the US-Mexico Border Region, 1992-2011. Presentation at the American Geophysical Union Fall Meeting, December 14, 2016, San Francisco, CA. Bohn, T. J., G. Mascaro, D. D. White and E. R. Vivoni. 2015. Effects of land use on land-atmosphere fluxes and moisture transport in the North American Monsoon Region. Presentation at the 29th Conference on Hydrology, 95th Annual Meeting of the American Meteorological Society (AMS), January 4-8, 2015, Phoenix, AZ. Quay, R., D. D. White and D. A. Sampson. 2015. Exploring water complexity and uncertainty with practitioners and the public using WaterSim. Presentation at the CLIMAS Colloquium Series, February 26, 2015, University of Arizona, Tucson, AZ. Sampson, D. A., R. Quay and D. D. White. 2015. A browser interface to WaterSim 5: Water 201 for the Phoenix Metropolitan Area. Presentation at the The Arizona Hydrological Society 2015 Annual Water Symposium: "Where Did the Water Go?, September 16-19, 2015, Phoenix, AZ. Wiek, A. D., D. D. White and M. L. Schoon. 2015. Transformational Solutions for Water Sustainability - Combining Transition Experiments with Modeling. Presentation at the Transformations 2015, October 5, 2015, Stockholm, Sweden. Bohn, T. J., G. Mascaro, D. D. White and E. R. Vivoni. 2014. Does Mexican land use influence rainfall in the southwestern USA? Effects of land use on land-atmosphere fluxes and moisture transport in the North American Monsoon. Presentation at the US-Mexico Border Water, Engineering, and Sustainability Training (UMB-WEST), , July 21-August 8, 2014, Universidad de Sonora, Hermosillo, Sonora, Mexico. Presented July 29, 2014 at US-Mexico Border Water, Engineering, and Sustainability Training (UMB-WEST), July 21-August 8, 2014, Universidad de Sonora, Hermosillo, Sonora, Mexico. White, D. D. 2014. Advancing science in support of water policy and urban climate change adaptation. Presentation at the 16th Annual CAP LTER Poster Symposium and All Scientists Meeting, January 17, 2014, SkySong, Scottsdale, AZ. White, D. D. 2014. Boundary work for water sustainability and urban climate adaptation: Lessons from the Decision Center for a Desert City. Presentation at the ILEK Project First International Symposium, Knowledge Translation: Bridging Gaps between Science and Society, September 13-14, 2014, Research Institute for Humanity and Nature, Kyoto, Japan. White, D. D. 2014. Envisioning the future of water governance: Linking decision-maker preferences, simulation modelling and scenario analysis to inform sustainability transitions. Presentation at the Global Institute for Water Security Distinguished Lecture Series, September 24, 2014, University of Saskatchewan, Saskatoon, SK. White, D. D., L. Withycombe Keeler, A. Wiek, K. L. Larson, D. A. Sampson and R. Quay. 2014. Linking stakeholder engagement, scenario analysis, and simulation modeling to explore the long-term impacts of regional water governance regimes. Presentation at the Environmental Science Division of Argonne National Laboratory, May 19, 2014, Lemont, IL. Basile, G., E. R. Vivoni, D. D. White, R. Pahle, J. Rodriguez, E. Cazares Rivera, J. Mahlknecht, A. I. Ramirez and R. Miranda. 2013. Water Innovation Consortium project. An integrated approach for sustainable water resources management in Latin America and the Caribbean: The San Juan River Basin pilot project. Presentation at the Inter-American Development Bank , June 4, 2013 , Inter-American Development Bank Headquarters, Washington, DC. Basile, G., E. R. Vivoni, D. D. White, R. Pahle, J. Rodriguez, E. Cazares Rivera, J. Mahlknecht, A. I. Ramirez and R. Miranda. 2013. Water Innovation Consortium project. An integrated approach for sustainable water resources management in Latin America and the Caribbean: The San Juan River Basin pilot project. Presentation at the Inter-American Development Bank , July 26, 2013 , The McCain Institute, Washington, DC. White, D. D. 2013. Linking knowledge and action for water sustainability and urban climate adaptation: Research update from the ASU Decision Center for a Desert City. Presented April 24, 2013 as a Brown Bag lecture at the Water Resources Research Center, University of Arizona, Tucson, AZ. White, D. D., P. Gober, D. A. Sampson, R. Quay and C. W. Kirkwood. 2013. Socio-hydrology modelling for an uncertain future, with examples from the USA and Canada. Presentation at the American Geophysical Union Fall Meeting, December 9-13, 2013, San Francisco, CA. White, D. D., L. Withycombe Keeler, A. D. Wiek and K. L. Larson. 2013. Envisioning the future of water governance in central Arizona: A survey of water decision makers. Presented June 6, 2013 at the 19th International Symposium on Society and Resource Management (ISSRM), June 4-8, 2013, Estes Park Center, Colorado. Wiek, A., L. Withycombe Keeler and D. D. White. 2013. The role of research in developing and implementing transformational solutions for water sustainability. Presentation at the Workshop: Transformational Solutions for Water in the West, September 5, 2013, Sandia National Laboratories, Albuquerque, New Mexico. White, D. D. 2012. Boundary work for water sustainability and urban climate adaptation: Lessons from the Decision Center for a Desert City. Presented November 12, 2012 at the Carnegie Mellon University Climate and Energy Decision Making Seminar, Pittsburgh, PA.
White, D. D., A. D. Wiek, L. Withycombe Keeler, K. L. Larson, R. Quay and G. Basile. 2012. Selecting and assessing distinct scenarios for sustainable water governance strategies in Phoenix, Arizona USA. Presented June 18, 2012 at the 18th International Symposium on Society and Resource Management (ISSRM), June 17-22, 2012, Edmonton, Alberta, Canada. White, D. D. and L. Withycombe Keeler. 2011. WaterSim: Research on water sustainability and urban climate adaptation at the Decision Center for a Desert City. Expo Presentation at a showcase of NSF-funded natural hazards research, “Which hazards are in your backyard?” Congressional Hazards Caucus, Hart Senate Building, Washington, D.C., September 7, 2011. Cole, Z., D. D. White and M. Budruk. 2010. Native American environmental values and natural resource management practices: Quileute Tribal perspectives. Presentation at the 6-10 June 2010 16th International Symposium on Society and Resource Management, Corpus Christi, Texas. Budruk, M., J. A. Woodrich and D. D. White. 2007. Connecting visitors to land, people, and place: The relationship between place attachment and perceptions of cultural authenticity at Canyon de Chelly National Monument, Arizona. Presentation at the 16-20 April GWS Biennial Conference on Parks, Protected Areas, and Cultural Sites, Minnesota. White, D. D. and E. A. Corley. 2005. Citizen and expert perspectives on water sustainability in Arizona. Presented at the August 5, 2005 Arizona Water Summit, Flagstaff, AZ. White, D. D. 2004. Decision Center for a Desert City (DCDC): Science, policy, and the construction of a boundary-spanning organization. Paper presented at the June 2-4, 2004 International Symposium on Society and Resource Management, Keystone, CO.
Middel, A., R. Quay and D. D. White. 2013. Water reuse in central Arizona. Decision Center for a Desert City, Arizona State University. Technical Report 13-01.